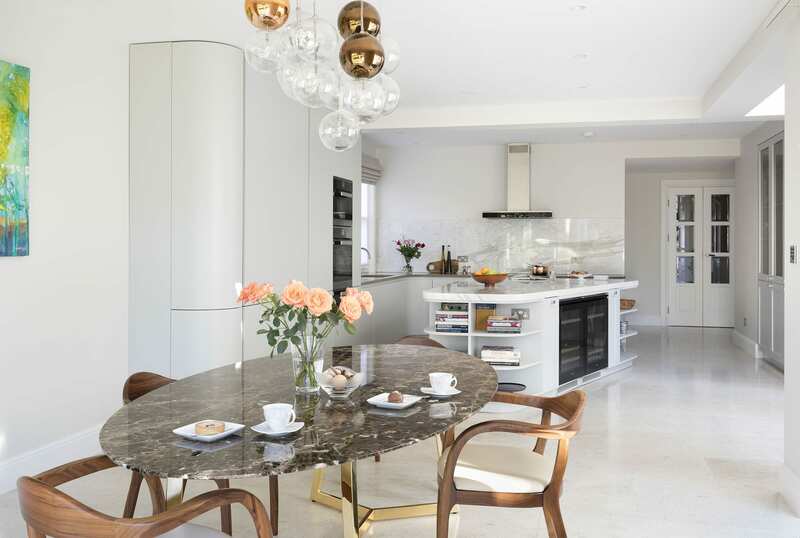 As part of an entire house renovation, we installed this elegant contemporary kitchen, creating an open-plan layout, with access to a relaxed seating area and the family dining room. 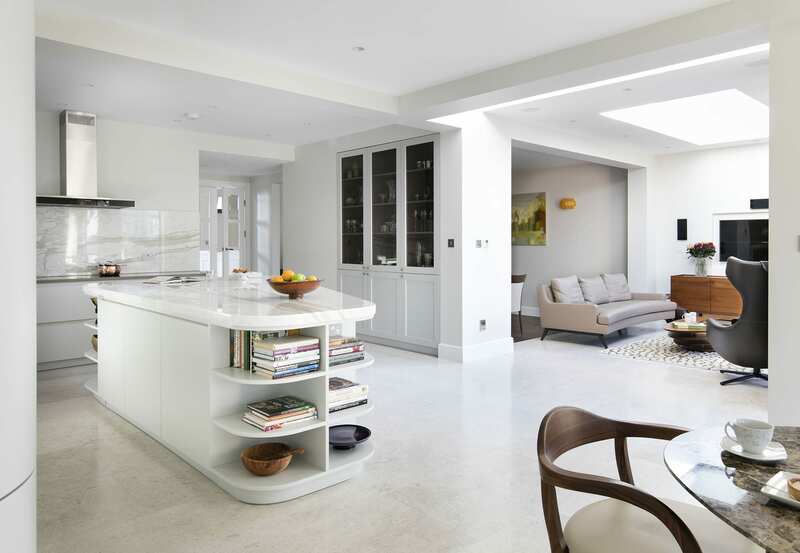 The large kitchen island allows for plenty of preparation space, while its unique shape frees up space to move around it. 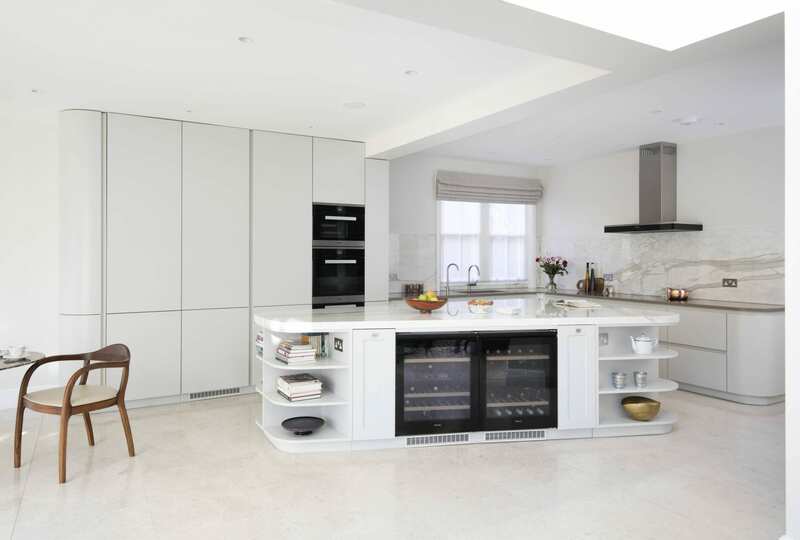 Built-in flush display framed units created space for our clients to display their individual pieces and provided additional storage. 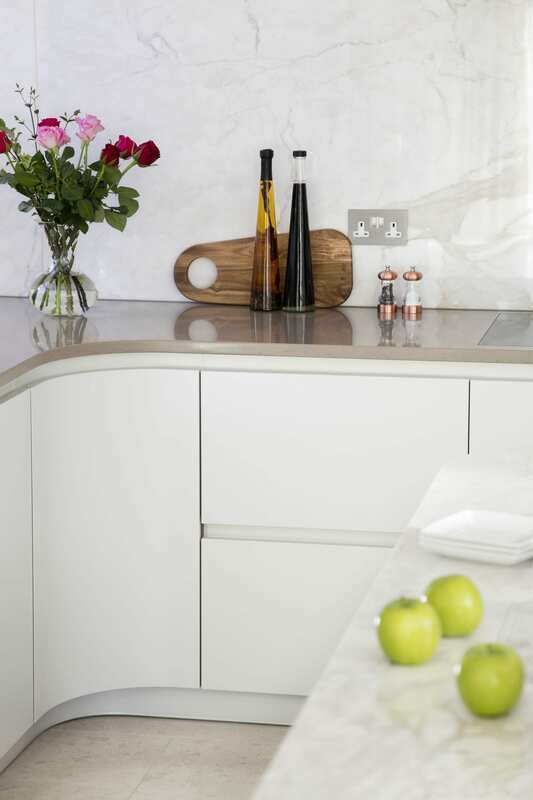 Due to the size and shape of the island marble used for the island was sourced directly from Italy. 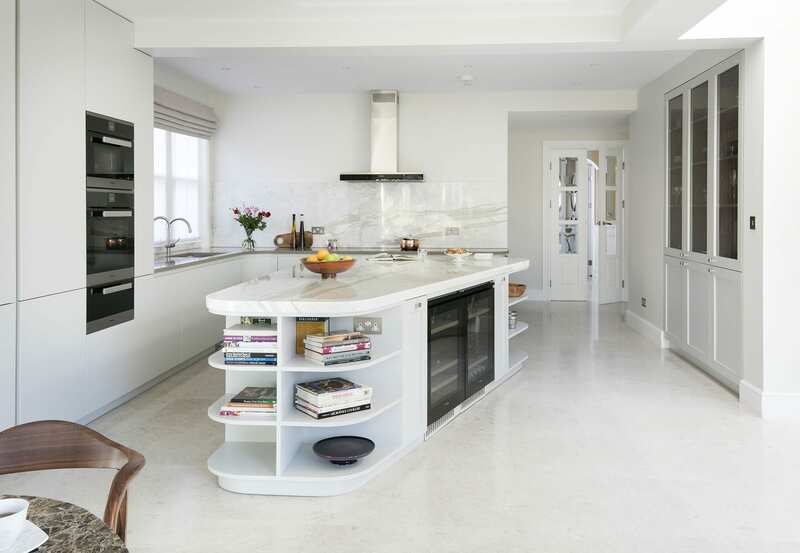 The curved edge of the cabinetry mimics the organic curves of the island.